Linda is a leader in providing Life/Career and Recovery coaching for women from all walks of life. She has adept experience in career coaching and provides the spiritual empowerment for women seeking more for their life. Linda’s message is clear, “To live your best life you must invest in yourself and then do the work”. I provide excellent tools and services as a certified life/business and Recovery coach serving and supporting women while building long lasting relationships. I always maintain integrity and honesty whenever I communicate with women, colleagues, clients and when networking with others. 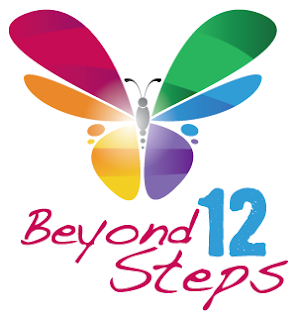 Beyond12Steps is committed to providing services that will uplift and empower women to reach their utmost best life and find their greatness! I specialize in career coaching, entrepreneur support and business planning. The benefits of becoming a client is learning the art of the business plan, career overhaul and strategic planning. This means knowing on a deep level who you are and how your empowerment will create a new life and career for you. Education: Master's Degree in Counseling. BA in organizational leadership. Presently in the Doctorate program at Grand Canyon University studying Org. leadership, Behavioral Health, pending Graduation, 2019. Certification in Life Coaching at Compass School of Coaching and Life Purpose Institute in business, life and career coaching.